Ryan Reynolds Reveals the Official Costume for upcoming Deadpool movie. Ryan Reynolds, who will be taking on the role of Wade Wilson/Deadpool once more in next year’s Deadpool took to Twitter earlier today to show off the new costume to be used in the film. It looks much more like the Merc With a Mouth that fans are familiar with. “With great power comes great irresponsibility” Reynolds quipped. 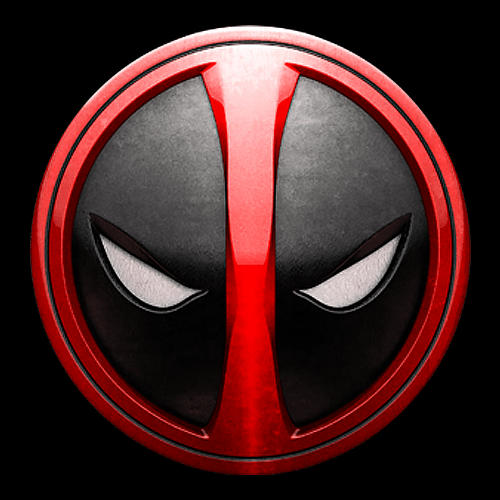 The Deadpool film’s Facebook page has also released a logo and updated their page with a film synopsis. All of this can be found below. Deadpool will star Ryan Reynolds in the titular role, along with Morena Baccarin, Ed Skrein, and Gina Carano. Walter is a California native. He is currently in his last year of college pursuing a B.A. in English, but is often mistaken for a freshman...or a middle school tourist on occassion. His earliest gaming experience was Pokemon Red version on the Gameboy color, which he played actively. He would dabble with the Nintendo 64 and Playstation 2 for a bit before transitioning to many years of F2P MMOs. He then moved on to League of Legends, with whom he as an on and off again relationship. He currently spends most of his game time on his Playstation 4. He's also a bit of a Marvel nut.